I must admit, I’m totally that person who starts listening to Christmas Carols the day after Thanksgiving and I don’t stop until Christmas Day (or in some cases, New Years Day). 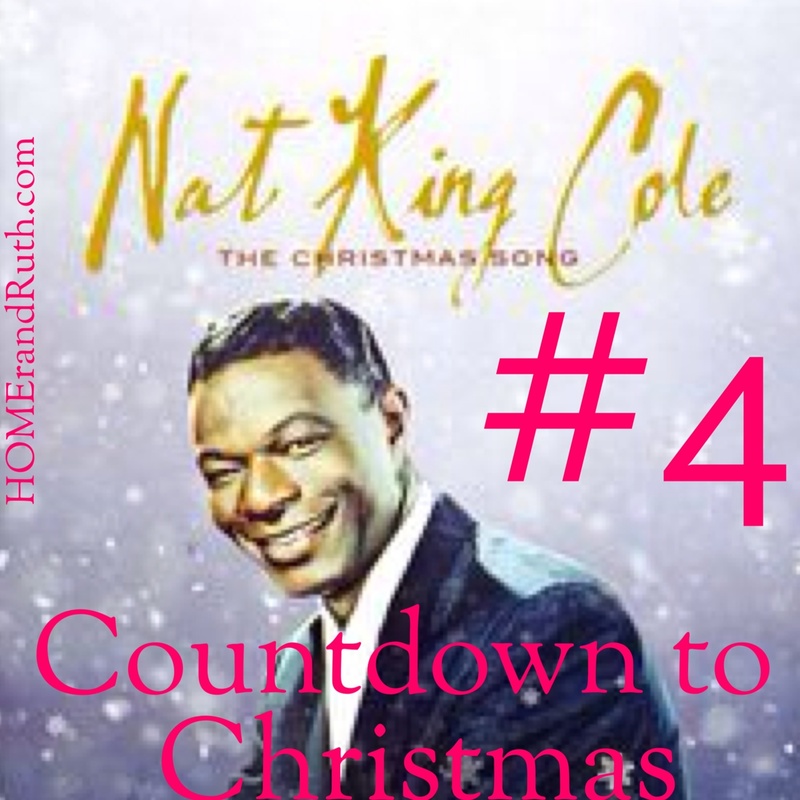 I have many a preferred holiday song from Mariah Carey’s “All I want for Christmas” to Josh Groban’s “Oh Holy Night”, but my absolute favorite of all time that always gets me in the Christmas spirit is Nat King Cole’s “The Christmas Song”. And that, my friends, is #4 on my Countdown to Christmas list. What’s on your Christmas Carol list?